Now here’s something we haven’t seen before: purchasing Aston Martins as a pair. As part Zagato’s centennial celebration, the storied Italian design house has teamed up with Aston Martin for a limited run of reissued DB4 GTs alongside a Zagato-fied DBS Superleggera. Both cars are sold together under the forthcoming DBZ Centenary Collection for a cool $8 million, but until now, we’d only seen the DB4 GT portion. 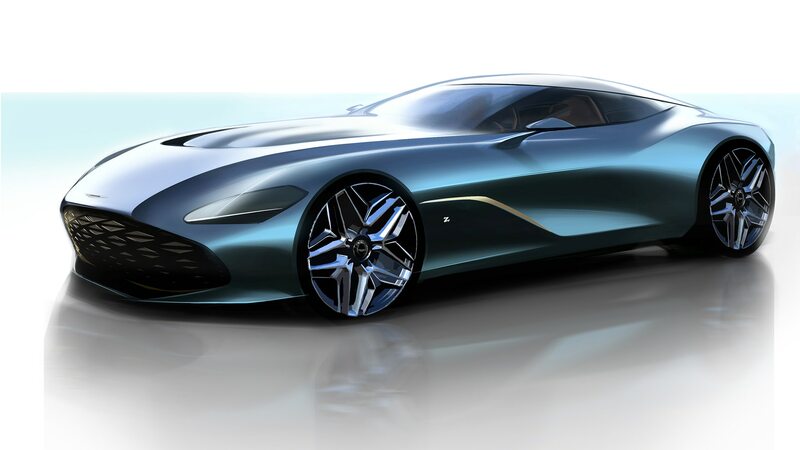 Aston just released renderings of the complementary DBS, and it’s as wild as you’d expect. 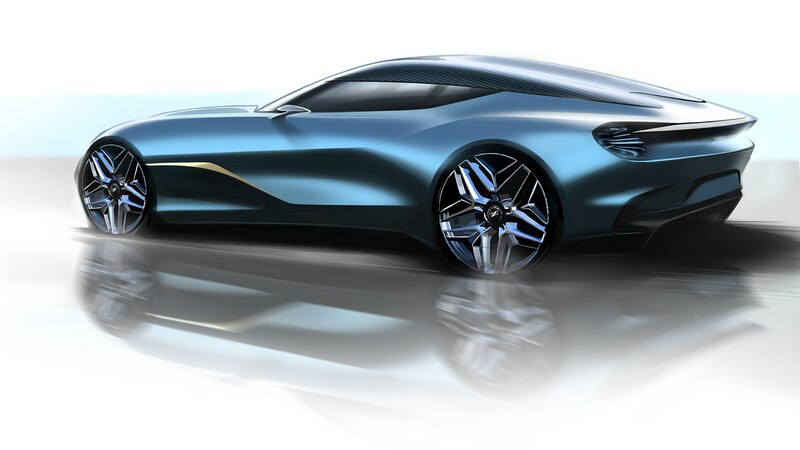 While you could never accuse Aston of lacking beautiful, jaw-dropping designs, the British brand has gone on quite the stylistic bender recently. 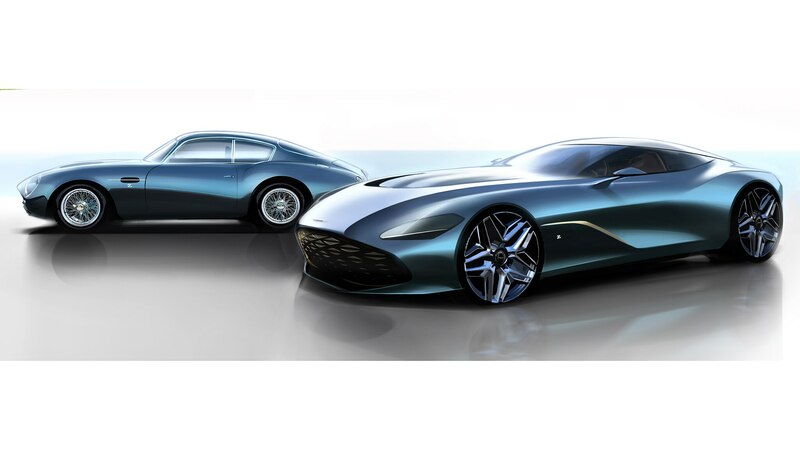 The new Valkyrie hypercar and mid-engine Vanquish concept are among the most striking Astons in history, and from the looks of the DBS GT Zagato, things will continue to trend that way for some time. While this is just a rendering and still very conceptual, we expect the final product to be just as breathtaking. From the blade slicing across the bodysides just behind the front wheels, to the large, forward-jutting grille, it’s a very aggressive design. It’s intended as a modern take on the DB4 GT, even down to Zagato’s iconic double-bubble roof. 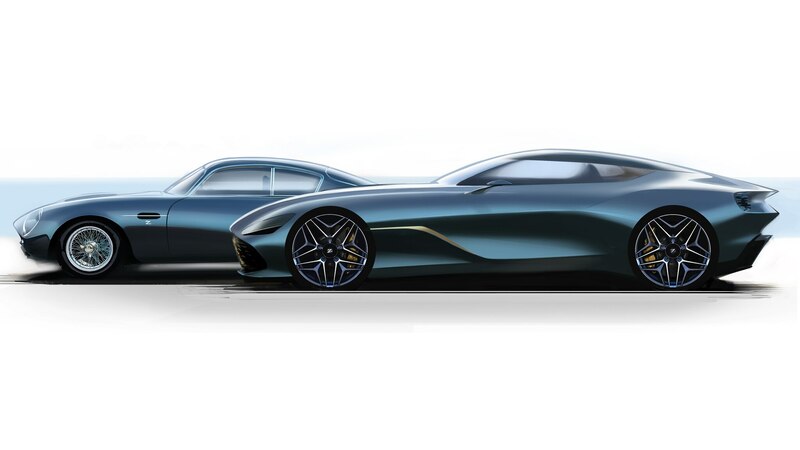 Beyond this sketch, we’re not privy to any mechanical specifications, but we expect each DBS GT Zagato to pack the same 5.2-liter twin-turbo V-12 as the regular DBS, perhaps with a smidge more power than the 715-hp rating of the DBS. The new bodywork should shed a few pounds as well, so performance will likely improve as well. 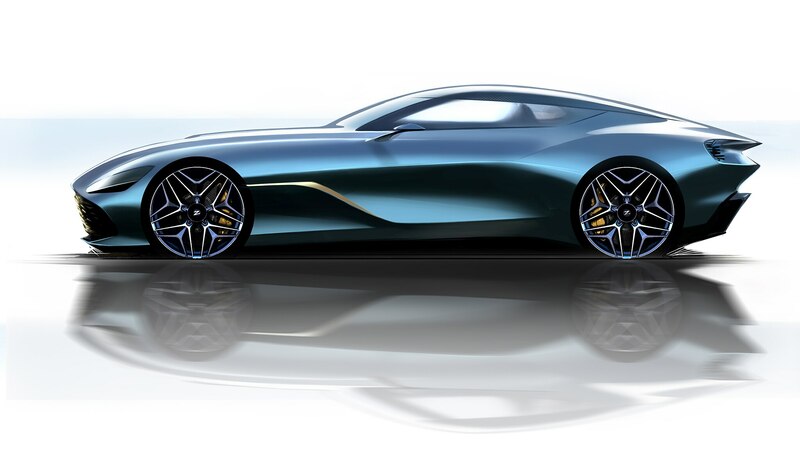 They’re only making 19 of these, and remember, it’s going to take a significant investment to be among the lucky owners. The special-edition car includes a special-edition timepiece from the luxe watchmaker.